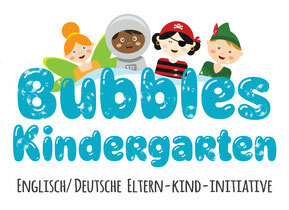 Bubbles is a bilingual (German-English) kindergarten in Isarvorstadt in Munich. Since September 2008 18 children between 3 years and school age receive full-time care according to the Inmersion principle. The children should feel safe and secure, they should play with other children in a framework that cares for the whole child. Based on the basic Montessori principles, we see the child as an individual, and should allow them to develop along their own path. As a parents' initiative, close and constant parental involvement by the parents of all the children is necessary. 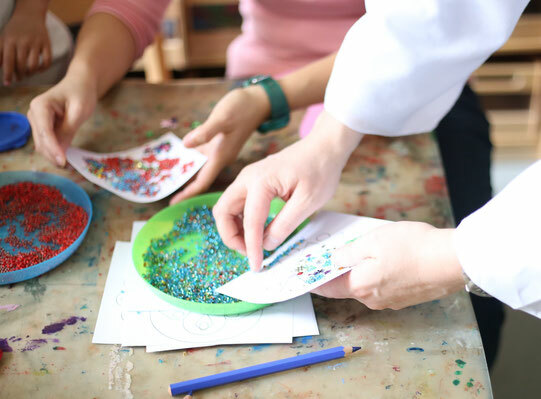 However, unlike other parents initiatives, we do not foresee these roles involving parents undertaking menial tasks in the kindergarten such as cooking lunch or weekly cleaning. Nevertheless there is a yearly summer cleaning where every family has a small cleaning task. Each family takes total ownership of at least one Bubbles job and is expected to contribute a minimum of 10 hours a month (14 hours a month for two children). This gives you the chance to contribute to your children's preschool experience, because you have the chance to shape their educational environment. E. g. parents organize field trips, events and activities for the children. Our children visit museums, theatres or make excursion in the mountains, ski courses or others. Another parents task might be renovations, financial, human resources, technical or organizational. A healthy, rich in vitamins and well balanced diet is very important for us. Such a organic breakfast and Snack will be prepared by the parents rotational about 3 - 4 times a year for a whole week. Lunch is delivered by an organic catering company and is freshly prepared every day by them. In the future, our children will be faced with many challenges. In the global world we live in, foreign languages and their fluency have become more and more important. Early contact with a foreign language encourages not only the linguistic competencies of the children, but also their cognitive development and social skills. Research shows that the recommended age to lay the foundations of a second language is before child turns 4 years old.The learning principle of a second language is based on the “immersion” principle which is a worldwide recognised method of learning a language. This means our kindergarten follows the One-Person-One-Language method, one teacher speaks exclusively in their native tongue to the children. 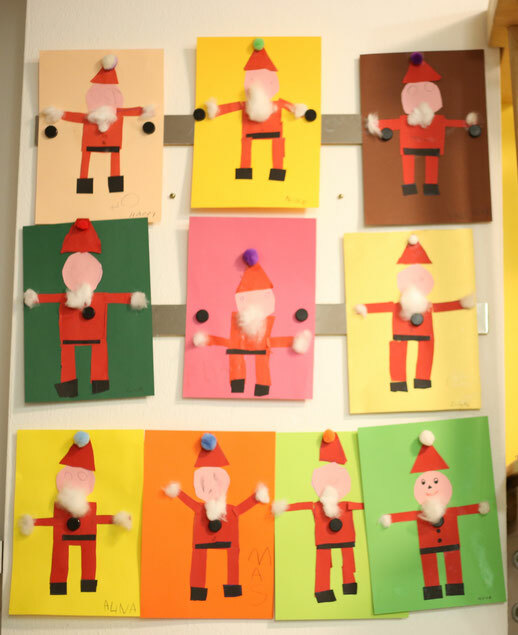 ﻿The preschool is run by a registered non-profit organisation “Bubbles e.V.”. Each parent whose child attends the kindergarten will in effect become a member of the organisation. We hold meetings three times a year.